After a couple days of anchoring and with the winds picking up to over 25 knots, we just wanted to relax in a marina at a slip. We found ourselves at this beautiful little island called, “Highborne Cay” The population of the island is just 14 people, most of who work at the marina. The grounds are beautiful, just like a resort but more natural. We explored 3 or 4 beaches the island had to offer. The whole island is accessible by walking, there are a couple of roads for the golf carts which are the main mode of transportation. While we were at the marina I washed down the boat from the salt. I try to do this every time we pull into a marina. Water is expensive in the Exumas, 50 cents USD per gallon. The 3 days we spent at Highborne cost us over $250 in water, more than we spent on the slip fees. My fault however, I soon learned not to wash the boat with the hose, but rather use a bucket with a wash cloth, much more efficient! We met many interesting people at this marina. One evening we hung out with a few other boaters. We met a nice family from Montreal, on their boat, “Private Island” a 59 foot power yacht, and another couple of guys who were delivering a boat to the Turks and Caicos. We got a tour of each others boats, and exchanged notes on our travels. “Private Island” spent $12,000 on fuel for his trip down from New York to Florida. He laughed when I told him that we spent about $100 on the same trip. 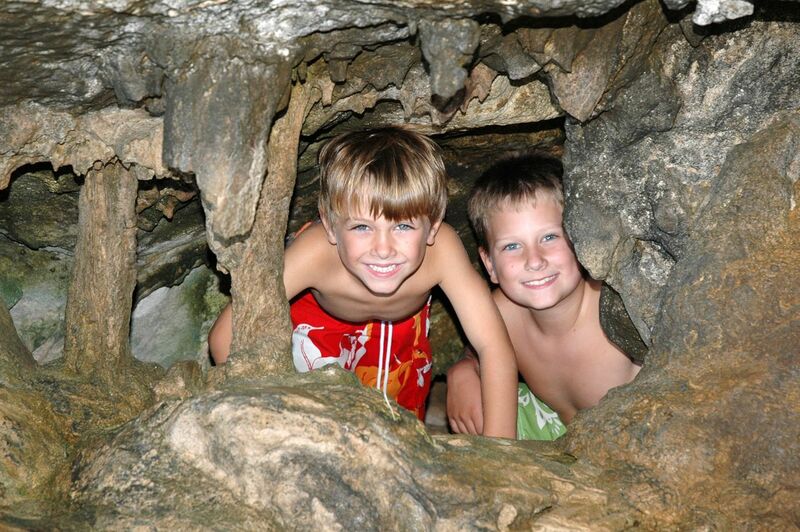 Thomas and Alexander also met a boy named Byron, who lives on island. We went to the beach and snorkeled with Byron, found a soldier crab and some more conch. Snorkeling in this area you will find a variety of marina life on the reefs; coral, tropical fish, conch, lobster, sting rays, barracuda and the occasional shark. Thomas also met a few other boys from other boats, and they quickly became good friends. Watching movies on each others boats, and chatting it up like old pals. They were all sad when we had to push on to our next port. Notice the two little heads just floating in the water beside the boat. These are two delivery Captains we met. They decided to go for a swim with the sand sharks of the Marina in the middle of the night. Apparently the sand sharks are harmless, but you won’t see me trying this real soon. Thanks for all the updates and great photos. We love reading about all your adventures and hope to see you before you return to Black Diamond for the March Break. If that is not possible, Enjoy your family vacation and come home safely. $4000 for some lights WOW thats a lot of cash. I paid £8000 (UK Pounds sterling) for my circumnavigating yacht. Looks like you’re having a fine time. Loved the photos. My daughter and son-in-law are currently in your area in their ketch “Temptress”. Last word from them, they were headed for Allan’s Cay or Highborne Cay. Enjoy you trip and stay safe. 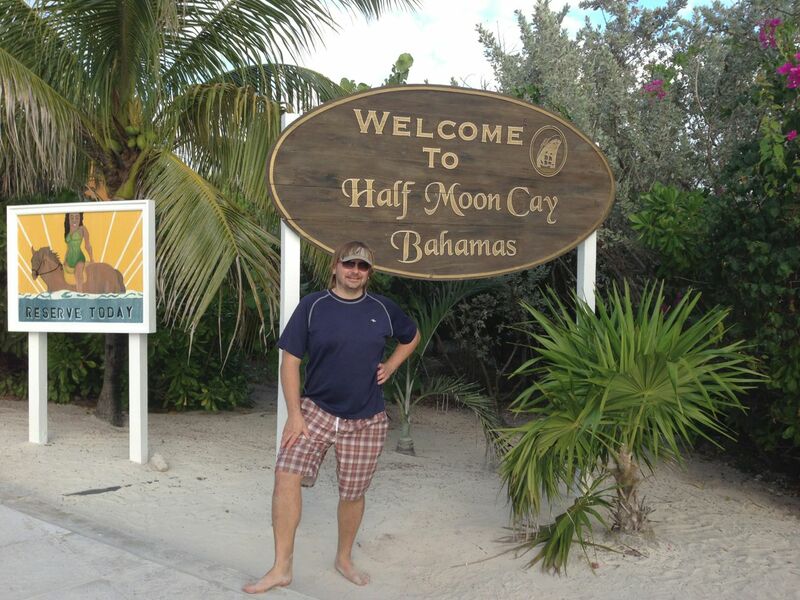 Next story Staniel Cay, Exumas – New Years! 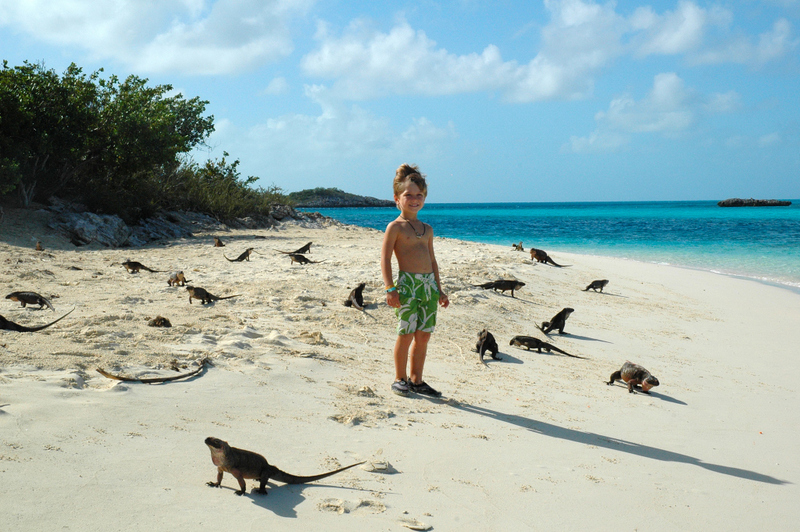 Previous story Allan’s Cay, Exumas + The Iguanas!